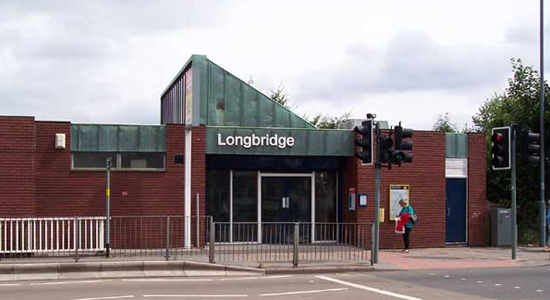 Longbridge Station was built in 1978 during the rediscovery of local rail transport during the late-1970s: prior to this, there had been no station on this site. The station building itself sits on the Longbridge Lane overbridge wich itself was a product of road realignment - the original rail overbridge is situated behind the photographer. On a personal note I consider it to be one of the least aesthetically pleasing buildings we will encounter in the region covered by this site. However, this is not the first station to bear the 'Longbridge' tag. Above-left we return to the present station and get the perspective from the up platform looking back towards the station and Longbridge Lane with Tessel Lane to the right. In the distance can be seen the footbridge which spans the track. 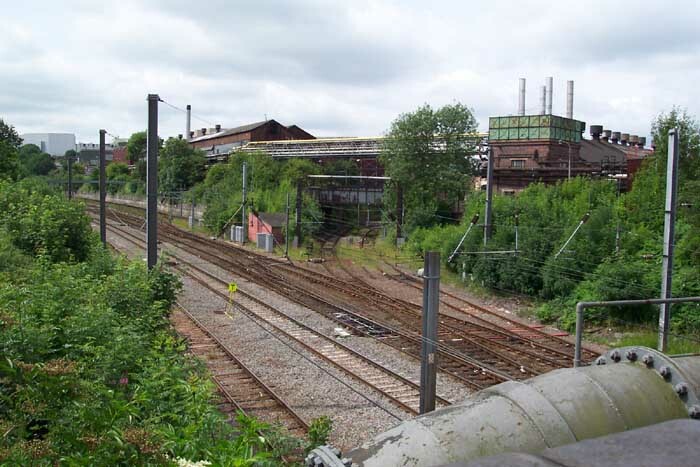 Immediately through the bridge carrying Longbridge Lane and the station over the trackbed is the view we see above-right, where two largely derelict-looking lines can be seen branching-off into the Austin Rover works. 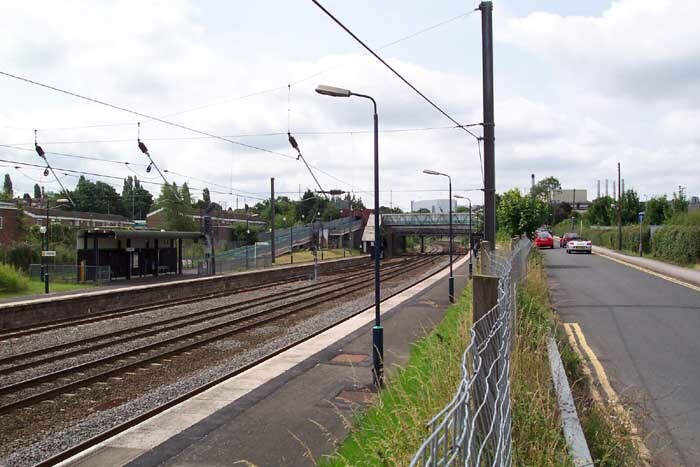 This junction, known as Halesowen Junction, is the direct feed to the original Longbridge Station after running through various works sidings.